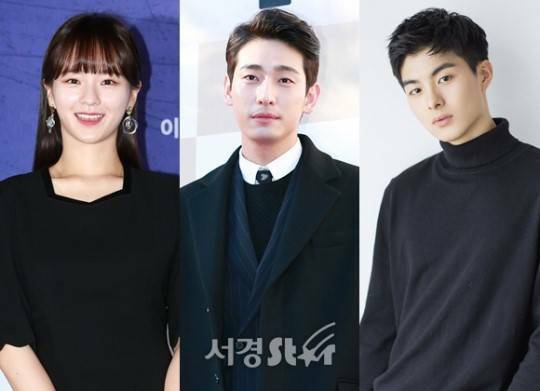 Yoon Park, Park Gyu-young, and Jung Gun-joo are starring in the KBS drama special "Drama Special - The Tuna and the Dolphin". "Drama Special - The Tuna and the Dolphin" is a web-toon based drama about a woman who falls in love easily, but has stayed single all her life, a man who is called 'the dolphin', and a swimming instructor. Yoon Park has recently been in romance dramas such as "The Package" and "Radio Romance". "Drama Special - The Tuna and the Dolphin" is currently in production and will be out sometime in the fall. "Yoon Park, Park Gyu-young, and Jung Gun-joo to Star in "Tuna and Dolphin""